The OnePlus One is a phone that has been demanding attention as of late. We’ve heard rumors and teasers directly from OnePlus, the new company that will be manufacturing this device. 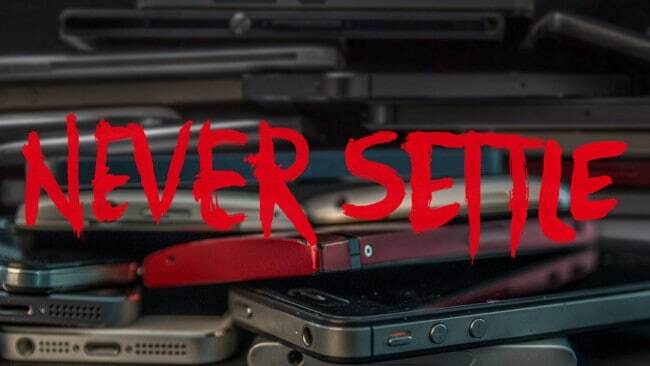 We recently heard that the OnePlus One will be part of a smartphone revolution that will combine good specs, excellent price and features that consumers want. The device will be running CyanogenMod and is set to be announced this month on April 23rd. OnePlus wanted everyone to know that they’ve taken consumer’s wants and needs into consideration when designing this device. That consideration also includes price ranges. According to a tweet today from OnePlus, the OnePlus One will be available for under 350€. Pete Lao, the company’s CEO, stated that people in Europe appear to be very interested in the device. Because of that interest, he wanted to assure possible European consumers that the device would be priced pretty well. There hasn’t been much information about pricing here in the United States, but Steve Kondik did state that the device would be available at a “reasonable price”. As far as what that reasonable price is, we’re not entirely sure yet. The OnePlus One is rumored to have a 5.5-inch screen, 13-megapixel rear facing camera, and a 3100 mAh battery. Other information on the device comes straight from OnePlus and Steve Kondik, stating that the device will be top of the line with 90% of the features that consumers want. The company hasn’t exactly been very tight lipped with information regarding their new flagship. They’ve been teasing and comparing their device to flagships for the past few months. With pricing being one of the main things that we didn’t really know about the device, hearing that it’ll be less than 350€ for Europe is a pretty good sign. We’ll just have to wait and see what the price for the OnePlus One in the US is. We’ve got just shy of three weeks until the announcement, so it’s possible that we might be hearing that pricing very soon. If the OnePlus One turns out to be a good phone with good specs, what would be the price that you’d be willing to pay? The post OnePlus One to be Priced Under 350€ in Europe appeared first on AndroidHeadlines.com |.